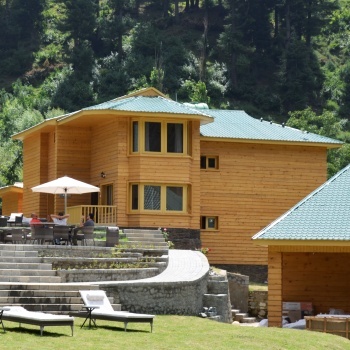 Surrounded by Himalayan mountains and beautiful greenery, Kashmir’s newest upscale four star resort when visiting the famous Pahalgam Bowl, The Kolahoi Green Resort offers 30 well-appointed, centrally heated, villas, suites, cottages and tents, multi-cuisine dining,excellent leisure options ,and a very memorable vacation. With the large garden in the centre,the layout of the cottages and the décor are in perfect harmony with our surroundings, ideal for the kind of holiday that leaves the world outside. From the resort, Pahalgam market is 3.5 kms. Pahalgam market is 3.5 kms.